Water resistant all-season adhesive strips. Use in temperatures as low as -10 degrees. Includes 1 pack, with 20 reusable hooks & 24 adhesive strips. Dimensions - (HxWxD) 18mm x 14mm x 5mm. 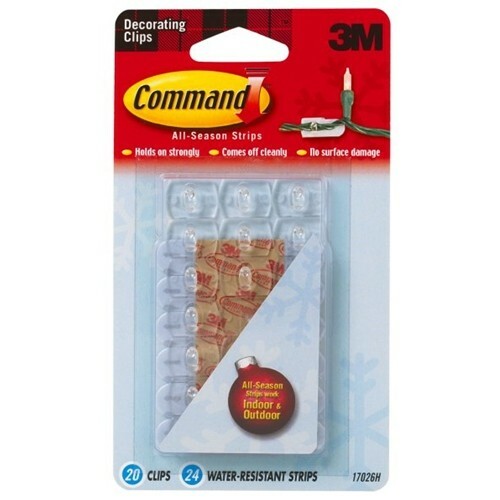 Decorating clips with Command™ water-resistant strips - perfect for holding christmas lights, garlands or decorations - even outside!